Chinese Surgeons Undertake 3D Printed Heart Surgery! Chinese surgeons in Changsha have performed some of first paediatric cardiothoracic surgery in the world after training on 3D printed hearts prior to undertaking the operation, as reported by the China Daily this week. The two patients – one, a girl, suffering from hypertrophic obstructive cardiomyopathy and the other, a boy, suffering from severe left ventricular outflow tract obstruction – underwent the operation at the Second Xiangya Hospital of Central South University in Hunan Province. Due to the difficulty of the operations and the age of the patients, the surgeons in charge of the case, which was led by cardiologist Yang Yifeng, decided that the only way of definitively achieving a positive outcome was to practice using an exact 3D replica of both hearts. 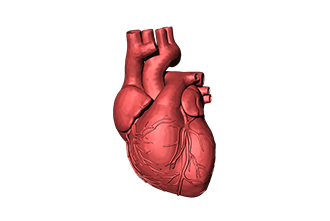 Not only did the replica hearts allow them to visualise the organs outside of the body, they also allowed them to physically run through the procedure as a team before the operations commenced, so as to ensure a smooth and trouble free procedure. The 3D printing of medical devices and parts has become a very important aspect in the development of the technology and it is especially important in rural and hard to reach areas, which have yet to fully benefit from exciting technologies, such as telemedicine. Being able to produce a replacement body part or piece of equipment in a short period of time, allows surgeons to tackle much more serious medical emergencies then they would usually be able to without the backup of a full hospital. It also allows training to be undertaken in real time, enabling medical staff to run through complicated or unfamiliar procedures with specialist colleagues who are able to demonstrate the latest and most successful techniques. China is at the forefront of the production of both medical grade 3D printers and also in the use of 3D printed parts during surgery and training. Such experience is beneficial in ensuring that all citizens of the vast country are able to access high-quality medical care, even if they live in areas traditionally considered remote or inaccessible.